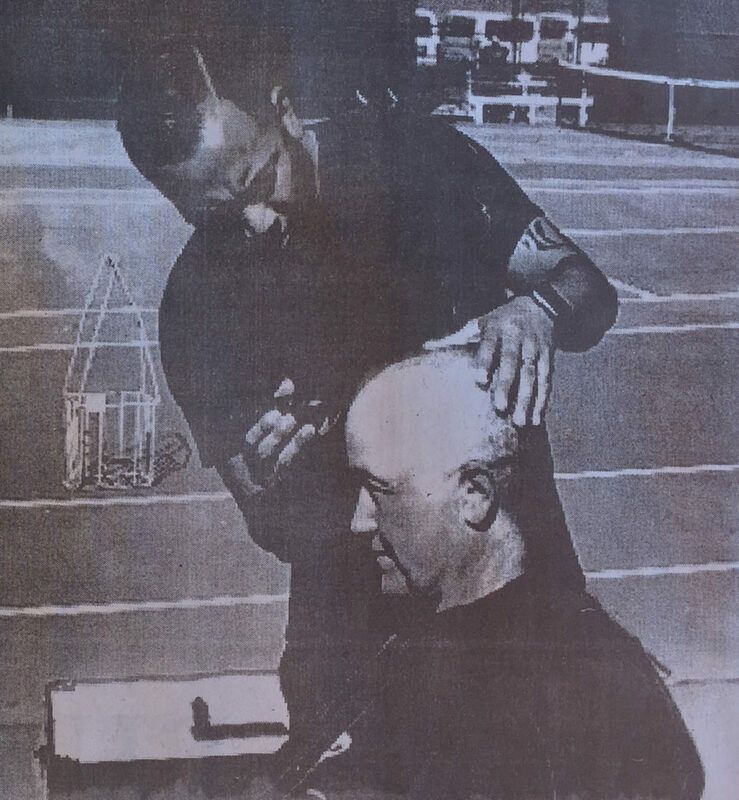 Alex Lago, of A. Lago Salon in Benicia, shaves Assistant Coach Jojo Donetti’s head as payback for her lost bet with the Benicia High Girls Tennis Team. When the Benicia High School girl’s tennis started their 2017 season, they were on track to secure the most consecutive wins in the Solano County Athletic Conference’s (SCAC) history, but in order to keep the streak alive, they needed to beat arch-rival Vanden High School. Assistant Coach Jojo Donetti bet the girls that if they won, she would shave her head. True to her word, Jojo made good on her promise. During one of the team’s’ practices her stylist, Alex Lago, owner of A. Lago Salon in Benicia, came out to perform the job at no cost. He wanted to contribute in some way to the girls’ undefeated record!